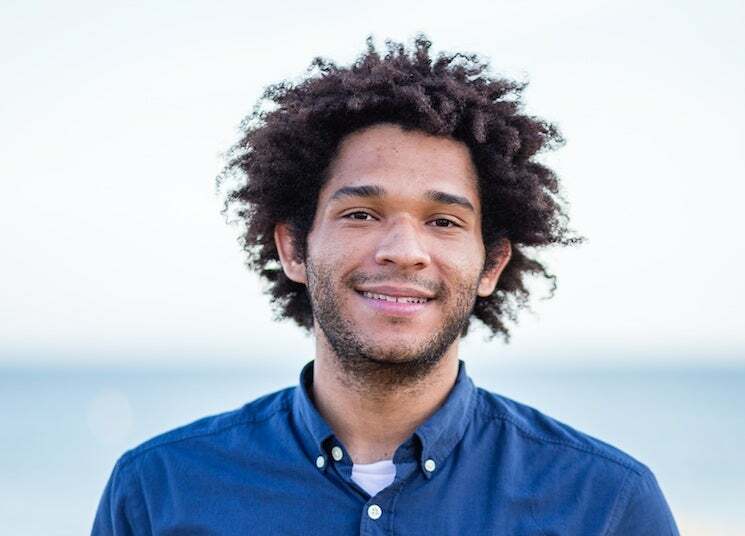 Carl Fields, who will graduate this spring with dual bachelor’s degrees in physics and astrophysics, has recently been awarded both a Ford Foundation pre-doctoral fellowship and a National Science Foundation (NSF) Graduate Research fellowship. “I’ve been interested in the stars as far back as I can remember,” said Fields, who plans to pursue a doctorate in astronomy and astrophysics at Michigan State University, where he will work on simulations on massive star supernovae and nuclear astrophysics. Field's advice to those still in school? “Stay focused, work hard and you will be successful. Some of the most constructive times in my undergraduate career came from failures or moments where I didn't achieve my goals,” he said. As an undergrad, Fields won the top prize for best poster by an undergraduate and was named a Carl A. Rouse Fellow by the National Society of Black Physicists. He was also a research assistant with the Joint Institute for Nuclear Astrophysics, Center for Evolution of the Elements and a recipient of the Origins Project Norm Perrill Scholarship. Fields answered some questions about his experience at ASU. Answer: In high school when I took my first physics class. I had always been interested in astronomy and the stars. But it wasn't until I took my first physics course that I realized that I could pursue physics as a career. I am very thankful for the experience with my high school physics class and how this shaped my decision to pursue physics. By the way, my high school physics teacher is an ASU alum. A: The faculty are here for you. It may be easy to blend into a huge lecture class of almost 500 students, but this does not change the fact that professors have your best interest in mind. I am fortunate to have come across very supportive faculty members that helped me excel during my time at ASU. A: I am originally from Arizona so ASU was the natural choice for me. It allowed me to stay close to my family and have access to a huge variety of research interests. A: Stay focused and work hard and you will be successful. Some of the most constructive times in my undergraduate career came from failures or moments where I didn't achieve my goals. This included rejections from summer NSF Research Experiences for Undergraduates, research proposals, etc. However, I saw those as opportunities to step back and find out what I could do to better myself and my skills. Eventually, I was able to succeed in these respects but only because I persevered. A: I spent a lot of time in the Physics Success Center in the first floor of PSF (Physical Science Center F-Wing on the Tempe campus). When I first started my degree program it was very challenging to find help in the courses and I struggled. Having the Physics Success Center helped me tremendously and allowed me to get the help when I needed it. A: Equal access to education. I would make it possible to have access to quality education throughout the world while also looking to solve problems within our own education system that create disparities in the quality of education received.